Find the ideal franking machine for your business by comparing quotes. The Pitney Bowes DM300M franking machine is the perfect choice for medium to large businesses sending up to 300 mail items per day. Why consider a DM300M franking machine? 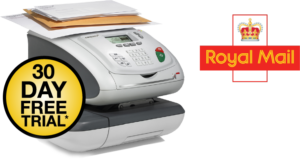 Pitney Bowes are one of only four manufacturers approved by the Royal Mail to supply franking machines. The brand has been established for over 90 years providing businesses all over the world with the products and services they need to in order to grow. The DM300M franking machine is one of the brand’s highest volume machines capable of processing up to 300 items of mail per day. It does this at a speed of 65 letter per minute with the help of a semi-automatic envelope feeder, delivering efficiency which could transform your business’ mail system. While it delivers this high performance level it is still incredibly user friendly and reliable. This machine can process envelopes up to 9.5mm in thickness and up to 330 x 381mm in size. The integrated scale can weigh up to 5kg with the option to upgrade to a 7kg, 12kg or 35kg scale. Equipped with IntelliLink technology it will automatically download the latest Royal Mail postage prices and perform differential weighing. The DM300M enables you to track usage for up to 25 different accounts as standard but this is expandable to 100 for larger businesses. You can also ensure all your mail is professional while promoting your brand by printing up to 20 different marketing messages on your envelopes. What post can you send with a DM300M? The DM300M will process First Class, Second Class, Priority, Express, Postcard, Flat Rate, Parcel Post and International mail classes including parcels up to 5kg. You also have the option to upgrade the scale to a higher capacity of 7kg, 12kg or even 35kg if needed. The DM300M is ideal for offices sending up to 300 items per day, but it is capable of processing more if needed during busier periods. Introducing a franking machine into your business is a simple but effective way to save your business both money and time. In terms of postage cost savings the amount you’ll save will vary with the type of post you’re sending. The discounts offered by Royal Mail are adjusted annually. Option to create 10 preset jobs to speed up and simplify your mail processing. Semi-automatic envelope feeder for maximum efficiency. This machine gives you the option to expand the 25 user accounts included to as many as 100 for maximum visibility and control over your budget. Streamlined dimensions of just 370mm x 435mm x 315mm to suit most offices. Protected by PIN security for peace of mind that your account and funds are safe. 5 standard printable envelope adverts with option to download more. IntelliLink technology automatically downloads the latest Royal Mail postage costs to ensure you’re always up to date. User friendly features include 7-line graphic display, dedicated function, clearly labelled key and QWERTY keyboard. If you’re interested in saving on your business’ postage costs with a Pitney Bowes DM300M franking machine, we recommend comparing multiple quotes to make sure you’re getting the best deal. We can arrange no obligation quotes from the UK’s most trusted franking machine providers. Complete the form at the top of this page and get free quotes within 1 hour. 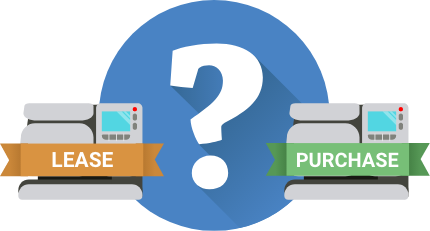 Our Buying Guides will help you understand the different franking machine arrangements including leasing and purchase so you can make the right choice for your business. We work exclusively with regulated and reputable providers and actively monitor their service quality and customer reviews to ensure they meet our high standards. Our friendly and knowledgeable team will work with you to understand your business so we can ensure you only receive quotes that suit your needs.